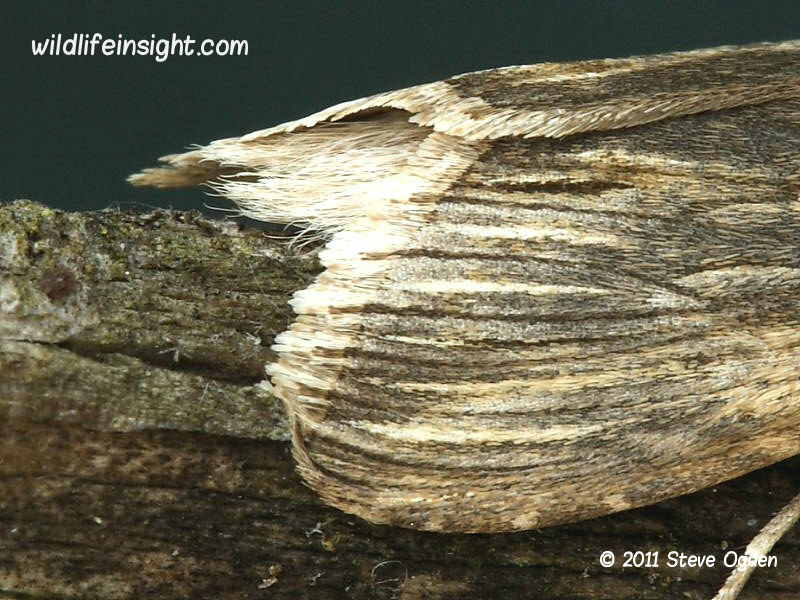 The Chamomile Shark is found locally throughout much of the British Isles and is probably best known for its strikingly marked caterpillars. It’s most abundant on waste ground, coastal areas and field set asides where species of chamomile the larval foodplant grow. 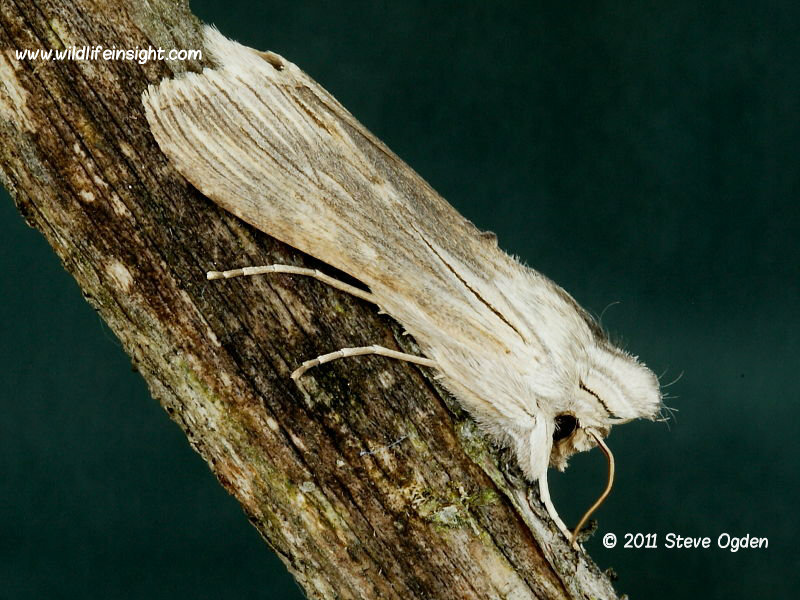 The nocturnal moths fly in a single generation between April and June. The eggs hatch within a few days and the caterpillars feed amongst the leaves and flower heads with most being fully grown by mid July. 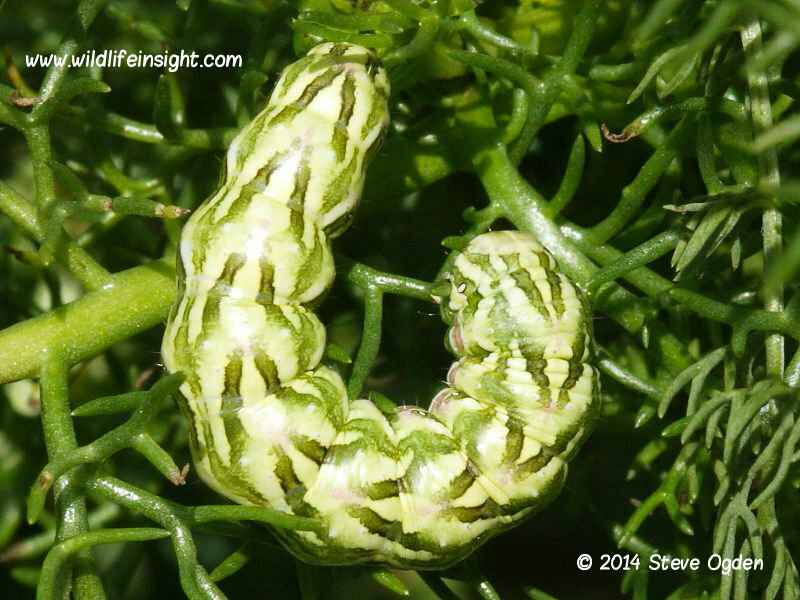 The prepupating caterpillars leave the foodplant to pupate in the soil inside a tough over wintering cocoon. 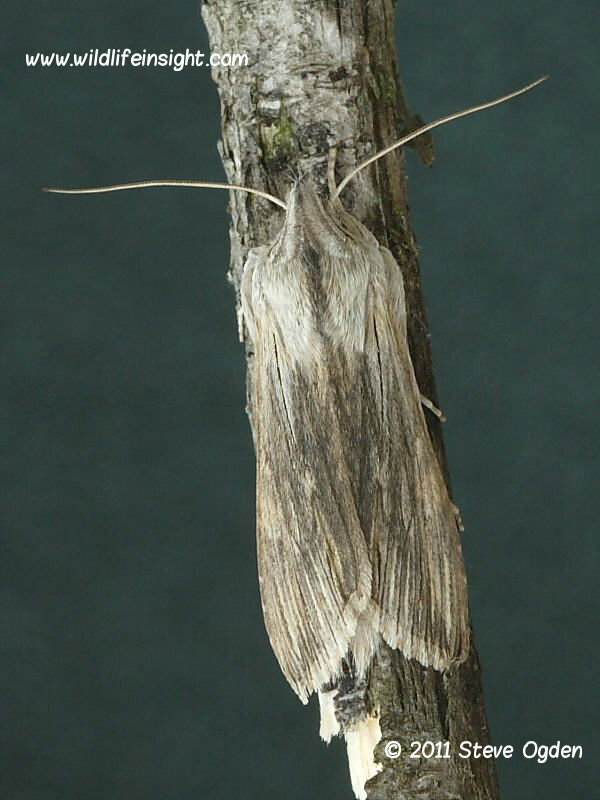 The Chamomile Shark is very similar to The Shark (Cucullia umbratica). 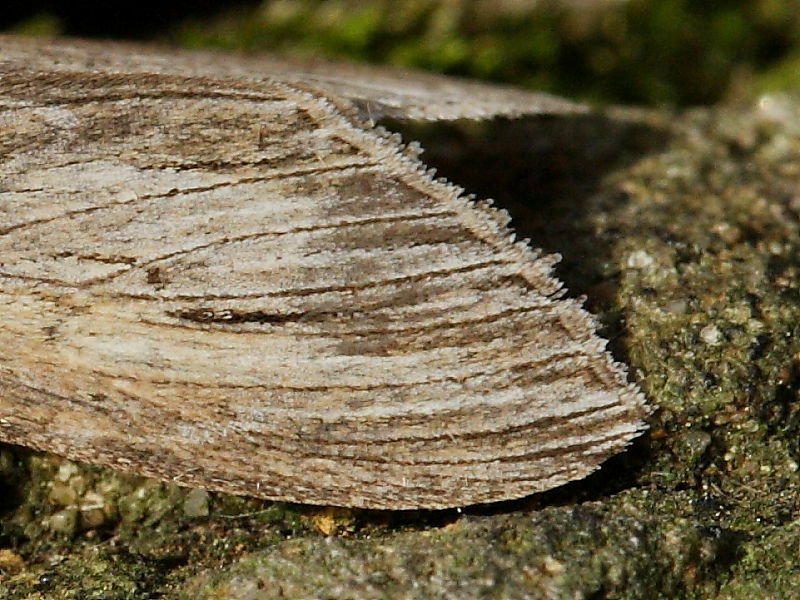 They are best identified by the dark lines that extend into the margin of the outer edge of the forewing compared to their abrupt end at the margin in The Shark. 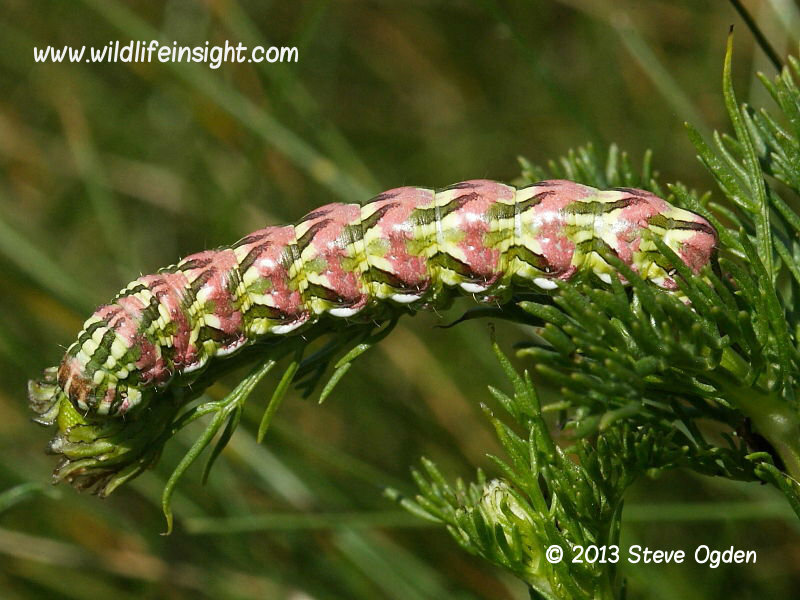 The Chamomile Shark caterpillar is one of the most striking and consequently easily identified caterpillars in the British Isles. 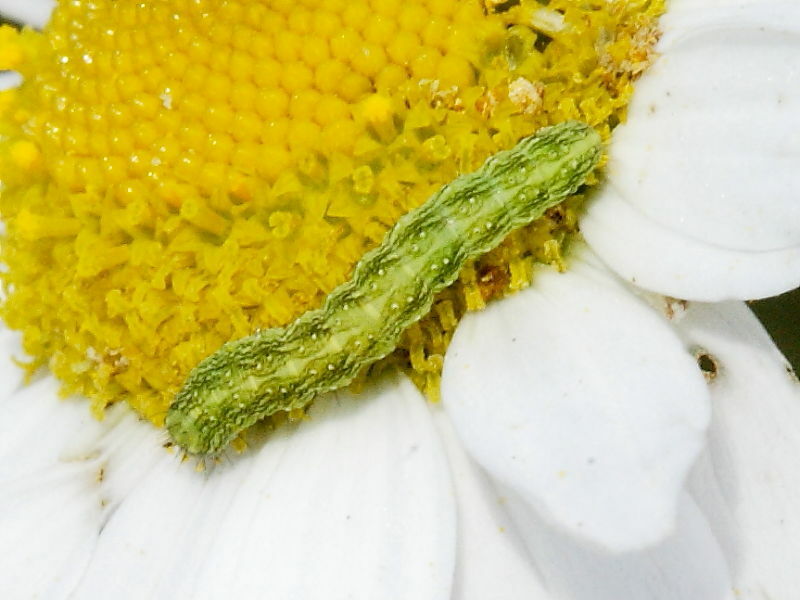 The larval foodplants include various species of mayweed, chamomile and feverfew. 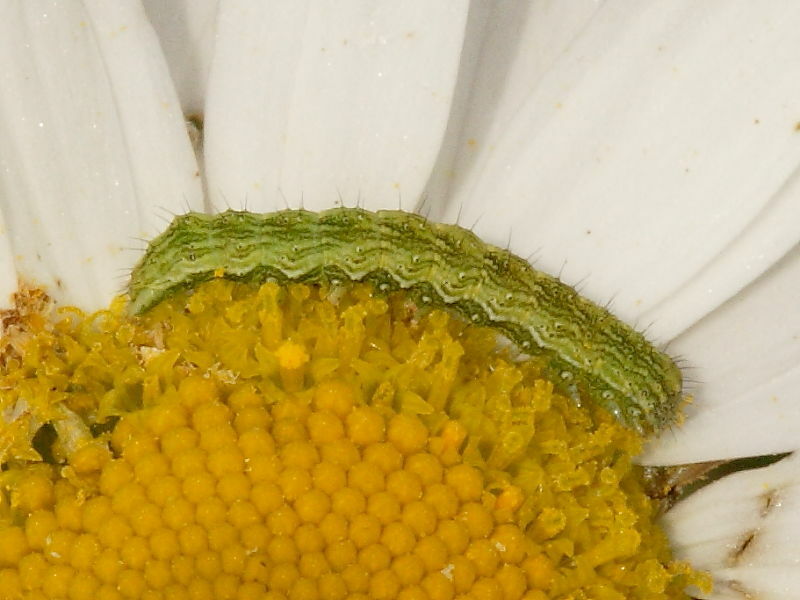 Along the south west coast of Cornwall the caterpillars may often be found feeding on sea mayweed. When fully grown they are about 45mm long and have different coloured forms. They are boldly but cryptically marked with dark green and sometimes pink flashes. Their bodies are pale greenish/grey of variable intensity. For such dramatically marked caterpillars they blend in surprisingly well with the leaves of the larval foodplant, even in bright sunshine merging with the shadows cast of the surrounding leaves and stems. 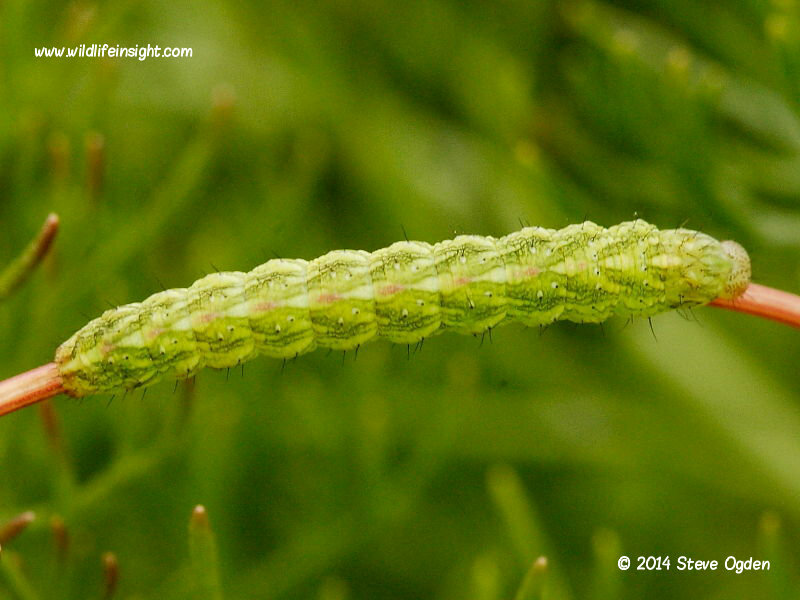 The caterpillars can be found by searching the leaves of the larval foodplants between May and July. 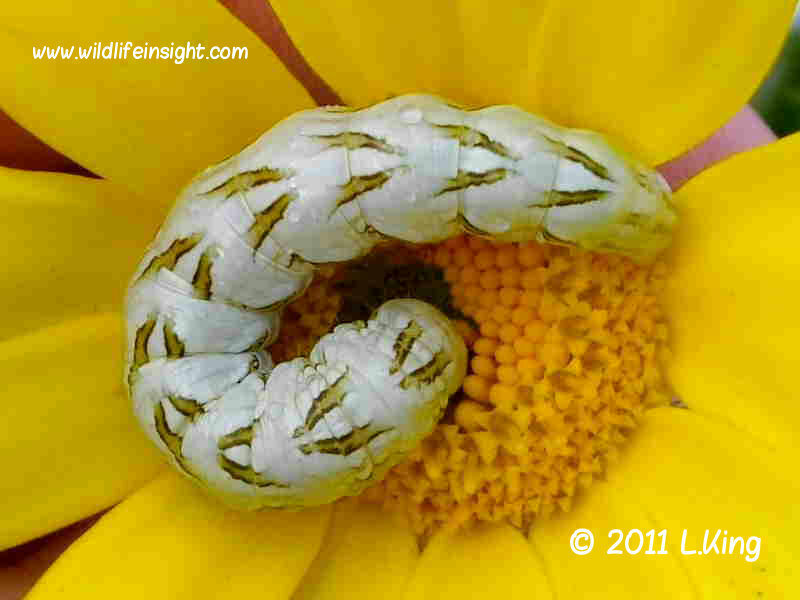 They may also be found feeding on flower heads. The mid instar caterpillar shown above left became progressively pinker in later instars. The caterpillars pupate in the soil to overwinter.